At Mariners Pest Control, we offer full service pest and termite control. 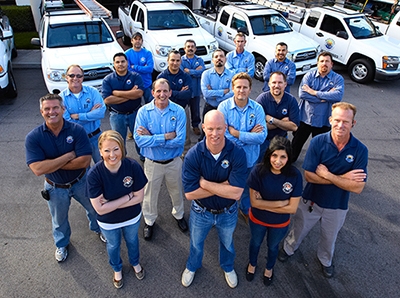 We are a termite and general pest control company headquartered in Irvine, CA that provides pest control services to Orange County, San Diego County, and Los Angeles County (and surrounding areas). Mariners Pest Control has been incorporated since 2005. Mariners Pest Control Inc meets BBB accreditation standards, which include a commitment to make a good faith effort to resolve any consumer complaints. BBB Accredited Businesses pay a fee for accreditation review/monitoring and for support of BBB services to the public. We specialize in ridding homes and businesses of termites and other pest control issues. We provide a full spectrum of services to address all termite infestations; this includes local treatments with the use of botanical termiticides such as Orange Oil, full home fumigation (tenting), to structural repairs when wood damage is extensive. All of our staff, from our professionally trained technicians to our receptionists, are highly trained and eager to deliver outstanding service to you! Fill out our online contact form for a free inspection or call us direct to setup an inspection: 1-888-945-2847. This business is in an industry that may require professional licensing, bonding or registration. We encourage you to check with the appropriate agency to be certain that we meet all California State requirements.